Most of the focus of Civil War history has been directed at more dramatic battles and glamorous aspects of the four-year internecine conflict. 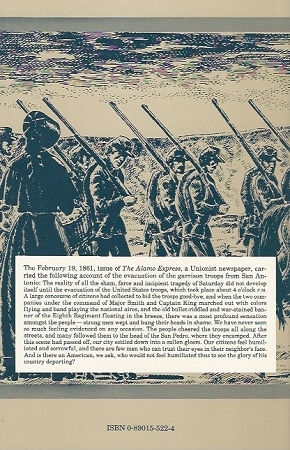 The author, a Midland, Texas, attorney and historian, puts the spotlight of research on the early days of 1861 before Texas hostilities began. 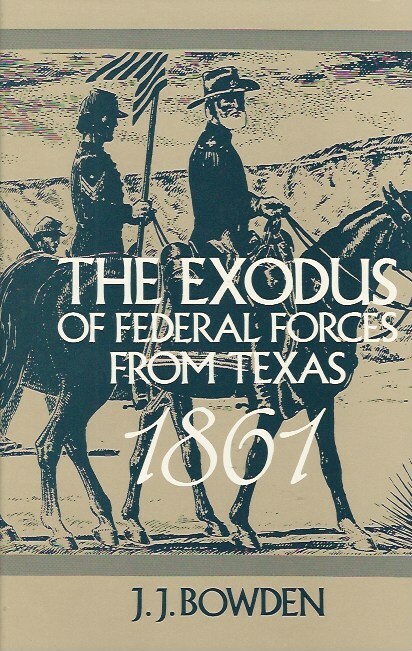 This volume covers the events involving the surrender of federal frontier posts and the exodus of federal forces from Texas. While many of the officers cast their lot with the Confederacy, most non-commissioned officers and enlisted men remained loyal to the Union. The surrender of the frontier forts along with their arms made it possible for the South to make an impressive showing in the early days of the war.